In your personal journey with your voice, it’s often helpful to receive guidance, encouragement, and fresh perspectives. We provide customized vocal lessons tailored to support individual development & progress on the musical path. 60- & 90-minute lesson formats are offered at our Brooklyn studio location or online via Skype / Google Hangouts. Schedule an initial consultation to speak with someone about where you are, where you’ve come from, and where you’d like your voice journey to lead you. Read more reflections from Voice Journey students here! 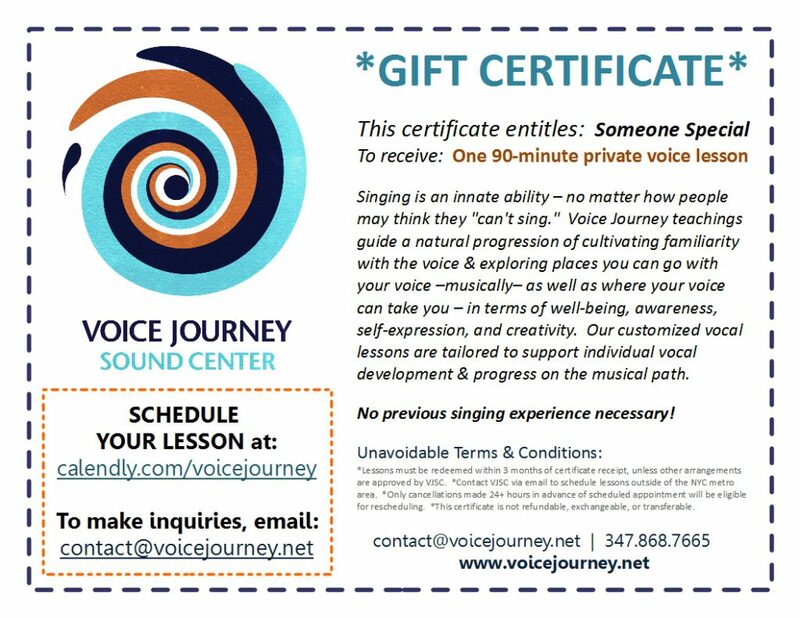 Want just a taste of a Voice Journey lesson?? Try a 30-minute Vocal Tune-up! Vocal Tune-ups are a quick & efficient way to “check-in” with your voice, re-connect with it, & learn simple practices to develop your relationship with it. These private sessions are designed to refine the tuning of your voice & help you to tune in to what you’re needing most to grow. 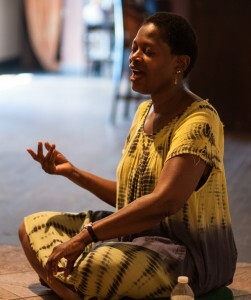 An energizing & balancing Vocal Tune-up is a great way to integrate your voice into your regular self-care regimen. Contact us to book your Vocal Tune-up today! Contact us to order a gift certificate!